Clients will receive a FREE digital file (via email) of their restored file. This is a savings of $10 per restored image. Our vendor for restorations has donated $100 to CHAPS via PayPal. 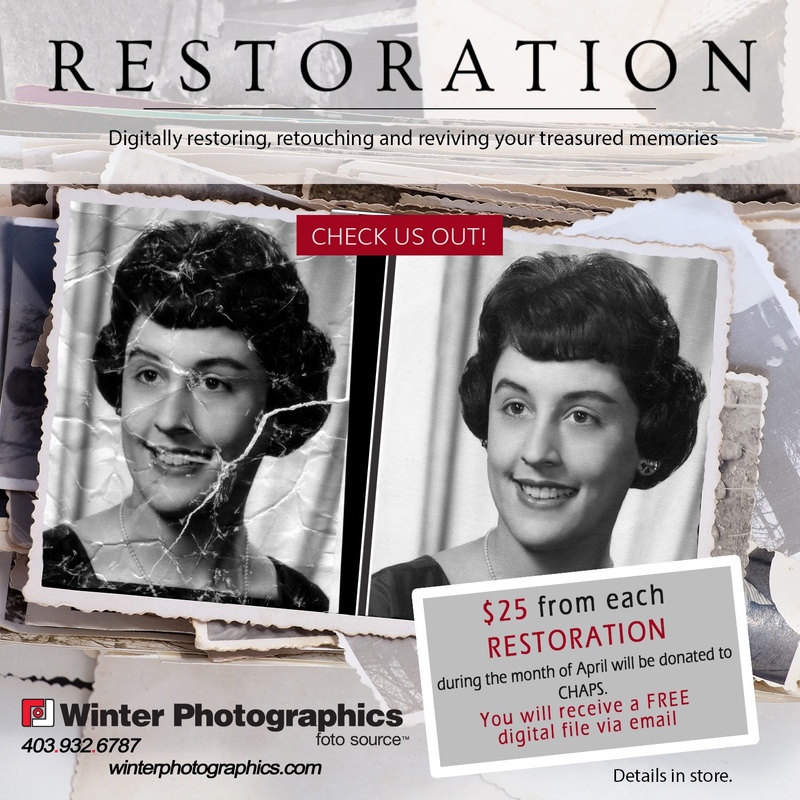 restorations completed we would be pleased to extend a discount.